Set up by long time yoga practioner, Carol Cumes and located 75 minutes from Cusco Airport in Peru, this luxury retreat was set up by Carol in 1994 "synergising Andean culture and cosmology with yoga philosophy and lifestyle". The accommodation is stunning, cuisine is gourmet vegetarian and the resort also offers crystal light healing, solar scented baths and massages. 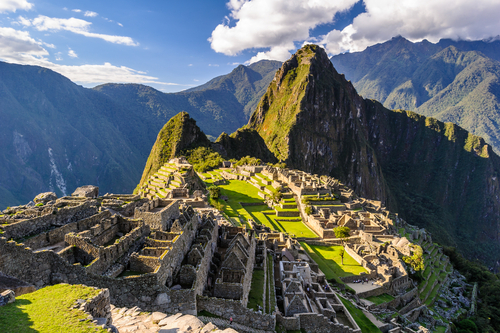 Of course, the main purpose is to visit Machu Picchu, the lost Inca settlement in the mountains and one of the most deeply spiritual locations on the planet. Carol leads a 10 day group annual pilgrimages to Machu Picchu which takes in the Ancient Inca sites at Cusco, Machu Picchu and the ancient Incan Sacred Valley sites near to Willka T'ika. The retreats include daily yoga and meditation classes lead by Carol. There is also Andean teachings and meditation in the Chakra Gardens. This looks stunning and is on my Bucket List. If you are thinking of Machu Picchu, investigate Willka T'ika first.